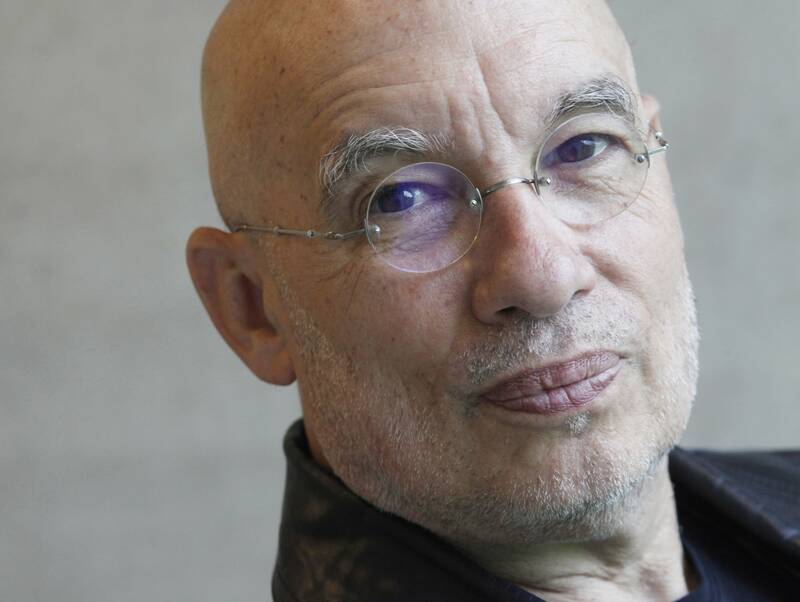 "I had a wonderful musical education in Toledo, Ohio, a wonderful life as a young person," Dennis Russell Davies says. "I was open; I was encouraged to be open. And when I ended up in New York, it was fertile ground. I guess I was open to challenges and interested in what was new." And that's how Davies launched his career as a pianist and as a conductor. His new recording, Now, and Then, challenges the definition of what you might think of as old and new music. I recently caught up with Davies while he was on tour in Italy. "I wish I'd thought of the title, but I'm glad somebody did," Davies says of his new recording. "Somebody had a really good idea, because of course it's the music of the past and the present which is being reflected in the music from our very distant past. So it's a wonderful title, and I think it describes exactly, in very simple words, what this recording is all about." More than anything else, you're associated with new music. That association goes back to the early years of your career, in the 1960s. And that's when you met the two composers whose transcriptions are featured on your new recording. Can you tell me about how you met these two people and how they've impacted your life? "They impacted my life because, as you pointed out, new music is something I've always done. But I've done it in the context of the major repertoire, and this is something I learned from these two men: Bruno Maderna, Luciano Berio, and, by the way, also Pierre Boulez. All three of these great conductors and great composers also were very much involved with music of their own tradition and their own past. This music was reflected in their music, but it was also reflected in the way they made programs, the way they embedded new pieces in the texture of a tradition that, of course, is three to four hundred years old for them." Tell me about Bruno Maderna and why his transcriptions are so significant or so important to you. "At the time I met him, he'd just turned 50. He was a wonderful conductor. But his career was also as a composer. And he wanted to have a chance to really play this music with the modern symphony orchestras. And so that's what inspired him, I think, to make these transcriptions. He wanted to play Vivaldi next to Bruckner and he wanted to play Mahler next to some composers like Corelli from his traditional past, and that's what he did." Now he had a fascination with the Italian late Renaissance and Baroque music, and several of these composers are featured on this on recording. I guess you'd say they are lesser known composers  Frescobaldi and Legrenzi. Tell me about some of these composers and the works that are featured here and what you believe makes them special enough to include on this recording. "Well, to tell you the truth, Frescobaldi I knew about because I had to study him in school and I had had a chance to hear some of his organ pieces, but I never actually had come to terms or come to grips with performing a piece because I didn't know there was a way to do that. Composers like Legrenzi  I'd never heard of before. So when I was asked by ECM to work with them on this project and this production  for me, it was a new education, because several of the composers I'd never performed before." Oh, that's fascinating. So that almost gets back to you exploring new music, in a way. "Well, it is  for me, it was new music and it was what Bruno was trying to achieve. Bruno wanted to make this music from a rich tradition of the Italian Renaissance available to modern audiences and modern musicians. And you see a work like Gabrieli's in the original is of course wonderful to hear, but how many people really would have a chance to do that? And with these transcriptions, I could do them in any concert hall in the world with any fine orchestra." Why do you think composers like Berio, Maderna, Copland, Cage and Boulez trusted you to bring their music to life? "I was passionate about all the music and I was very, very committed to helping these composers, even as a young man, realize their dream  to realize what they heard in their hearts and minds. I think they recognize it, and I'm grateful they did. It's been a major part of my career." To hear the rest of my conversation with Dennis Russell Davies, including his stint with the Saint Paul Chamber Orchestra and his friendship with composer Aaron Copland, download the extended podcast on iTunes or wherever you get your podcasts.